We all know that many things in life are not easy but here at James Spring & Wire, we make ordering custom extension springs a breeze. 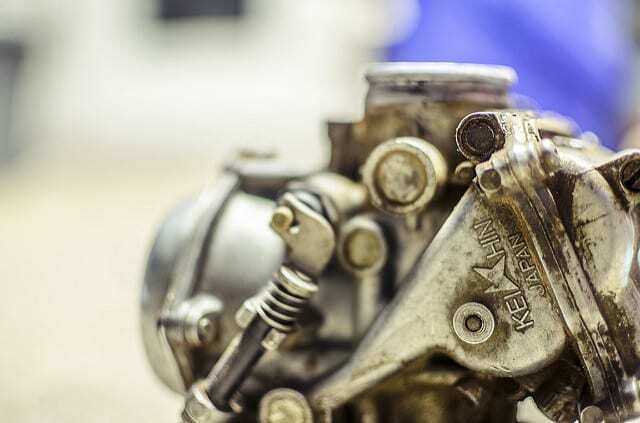 Years of experience dealing with many types of spring challenges have allowed us to develop custom springs to precise specifications for a wide variety of industries from carburetors to farm machinery. When you work with our team of designers and in-house engineers you will have the advantage of full custom fabrication capabilities, online quotes followed by quick responses, and an extensive selection of stock springs. When you are ready to place an order for your custom extension springs, there are a few simple steps that will make the process easier. The more accurate information you can provide our team about the springs you need, the better. Here’s what we need to know, in 5 simple steps. Our warehouse wire diameters range from 0.005” to 0.250” and are can be manufactured in the following materials: Beryllium Copper, Chrome Silicon, Chrome Vanadium, Elgiloy, Hard Drawn Wire, Hastelloy, Inconel, Monel, MP35N, Music Wire, Nitinol, Oil Tempered, Phosphor Bronze, Stainless Steel (17-7 SS, 302 SS, 304 SS, 316 SS, & 316L SS), Titanium. Our extension springs are available with different end configurations to facilitate the attachment to components being acted upon. End configurations that we offer include side hooks, center hooks, extended hooks, combination hooks, and custom shaped hooks. We love details! The more thorough, the better. Send along the specifics about the spring body length needed or the number of coils needed for the application. If you need a surface treatment we offer the following services: Anodizing, Bead Blasting, Citric and Nitric Passivation, Cleaning – Conventional and Ultrasonic, Color Coding, Electro Polish, Laser Etching, Powder Coating, Rust Preventative, Shot Peening, Stress Relieving and Heat, Treating – Plain, Zinc Plate, Black Oxide, Shot Peen, and Passivate (or indicate other). For Plating, we have Black Oxide, Cadmium, Chrome, Gold, Nickel, Phosphate, Tin, and Zinc options. This last one is self-explanatory but please don’t forget to tell us how many coils are needed to complete the job. When completing the James Spring & Wire Company online request a quote form, you also have the opportunity to provide additional application specific details, such as annual requirements. In the case of new designs or modifications to existing designs, we encourage you to speak with one of our design specialists by calling (610) 644-3450. Being as specific as possible about your extension spring and the use of application will help our team supply a reliable, quality product.